It is natural to grieve over the senseless loss of Cecil the Lion, the beloved black-maned mascot of the Hwange National Park in Zimbabwe. 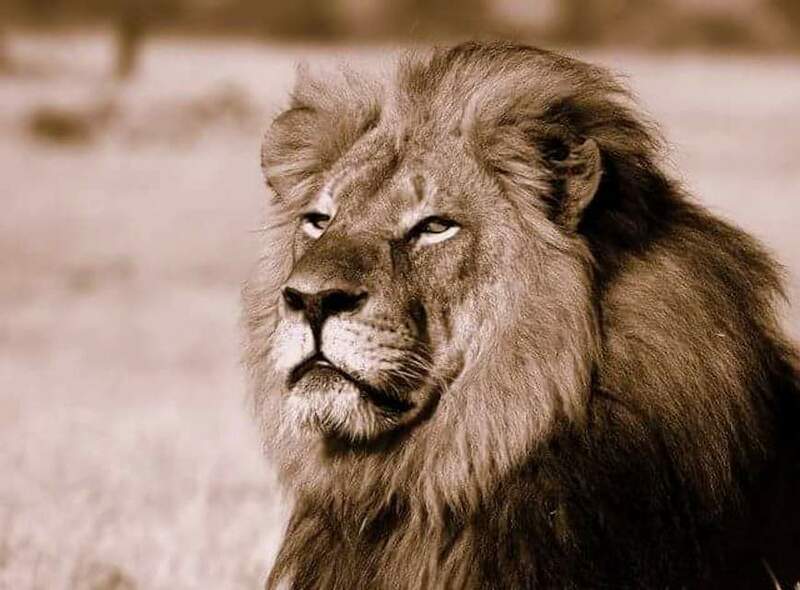 Cecil was killed by an American hunter, after his local guides lured Cecil out of the national park. After the lion died what was reportedly a slow and painful death, he was beheaded and skinned; later, the guides attempted to destroy (according to CNN) a GPS tracking device that was part of an Oxford University research project. The gruesome, random and unnecessary death of any creature, particularly when it comes with so much suffering, is a cause for grief. There is a natural sadness and revulsion that we feel at such times. It is a loss, and an affront against creation. As Pope Francis said in Laudato Si’, “Each creature reflects something of God and has a message to convey to us.” Cecil certainly said a great deal to his admirers over the years. But I wonder if we feel the same revulsion over deaths that do not receive as much coverage. We need not look too far from Cecil, for example, just a few countries north, in South Sudan. Over the past four years, since it declared its independence from Sudan, the country has descended into violence, leaving millions of people dead and, according to some estimates, half the population in danger of starving. And, as several commentators have pointed out, South Sudan is, in a sense, our “foster child,” with Presidents George W. Bush and Barack Obama playing key roles in encouraging its independence. Just as Cecil died a long and agonizing death, so have hundreds of thousands of innocent men, women and children in South Sudan, and so they will, as they starve and die from lack of water. Like Cecil, they are innocent victims of a violent life not of their making. Unlike Cecil, they don’t have many shrines dedicated to them. The crisis in South Sudan is immensely complex, with its long history of ethnic and political rivalries. Perhaps that’s what makes it easier for us to shed a tear over Cecil. Poor Cecil (and I mean that seriously) is dead and there is little we can do. Shedding a tear over South Sudan would mean that we would be moved to some sort of response, which is more difficult. What can one do, then? Read about it. Learn about it. Advocate with your local legislator. Give money to Catholic Relief Services. And to Jesuit Refugee Service/East Africa. You weren’t able to save Cecil, but you might be able to help South Sudan. Imagine what Catholic Relief Services could have accomplished with the $55,000 this hunter spent for the "thrill" of killing a magnificent lion. Yes, but one could say that about any of the expenditures of the wealthy. Please do not make us choose between loving animals and loving people. God created them all. Norman, I don't see where the concern for people is pitted against concern for animals. It seems that Fr. Martin is saying that we should be as shocked and grief-stricken over the murder of humans anywhere (Fr. Martin names the people of South Sudan as an example, but offers that this is not an exhaustive list) as we are about the slaughter of Cecil the Lion. Father does not anywhere suggest that the two are mutually exclusive or that one is of more gravitas than the other. In fact, he points to Laudato Si, which states that "each creature reflects something of God." The piece is titled Grieving Cecil .... and South Sudan. And. I encourage you to re-read the article without prejudice. You will find, I'm sure, that Father does not suggest that grief over one should exclude grief over the other. OK,.. Perhaps I read things into the article. But I have seen blogs and comments elsewhere decrying concern for Cecil while many people are dying and suffering. It is easy for some to love animals rather than people and for others to be indifferent to animals and their welfare; also easy to be indifferent to both animals and people. The outrage over the death of a single lion dwarfs the outrage over Planned Parenthood's selling of baby parts. Sad! Josef Mengele would be proud. Nazi eugenicist Mengele? Really? I am just as disgusted by the story of embryos being bought and sold for scientific research but we need to turn the hysteria down a notch. It's hard to take someone seriously who reacts with rabid hysterics. It is impossible to engage with those with whom we disagree if we demonize them. We cannot touch the hearts and souls of those who might possibly be open to conversion with tactics like these. Let's, all of us, take it down a few notches and reach out with love and not with this species of maniacal fits. Why does concern for animals have to be pitted against concern for people? We should be able to feel sad about animal mistreatment without having to always repeat the mantra that people are more important. Crystal, I don't see where the concern for people is pitted against concern for animals. It seems that Fr. Martin is saying that we should be as shocked and grief-stricken over the murder of humans anywhere (Fr. Martin names the people of South Sudan as an example, but offers that this is not an exhaustive list) as we are about the slaughter of Cecil the Lion. Father does not anywhere suggest that the two are mutually exclusive or that one is of more gravitas than the other. In fact, he points to Laudato Si, which states that "each creature reflects something of God." The piece is titled Grieving Cecil .... and South Sudan. And. I encourage you to re-read the article without prejudice. You will find, I'm sure, that Father does not suggest that grief over one should exclude grief over the other. I was not so much responding to Fr. Martin as to some of the news stories about the lion killing that have pitted people upset about the lion against people upset about Planned Parenthood, for instance. Just google 'Cecil the lion and planned Parenthood' to see what I mean. In the last 14 years 150,000 Americans have been killed in the Gun Crazed American Killing Fields Society, only 71 Americans have died at hands of Terrorists, 1.3 Trillion has been spent on American Security in American homelands and thousands of Americans are overly concerned about a bear or a lion; or rightly worried about the peoples of Sudan and other overseas countries, somewhere somehow our priorities are a bit mixed up. America "The Shining City on A Hill" seems to think the right to bear arms (massive weaponery) in the hands of every American is a right, so be it, but lets license these weapons and require (like all other American owned items and activities) require huge insurance policies on each and every weapon owned by Americans, and maybe this would put a stop to the worst killing of humans in time and in the world. End the American Killing fields before the old west mentality of everybody carrying weapons becomes the daily shootout society. This year alone 12,000 Americans have been killed inorder to keep the Right for Individuals to bear arms. While were at it make every ammonition and bullet sold carry high insurance as to it's use. William, I tend to agree with you that solid, common-sense gun-control is in order here. But I would suggest that you revisit your figure of only 71 Americans who have died at the hands of terrorists. In the felling of the Twin Towers, I assume significantly more than that number were murdered. And that sort of gross oversight in your miscalculation leaves you open to valid accusations of distorting the figures. Cesar, many people here, not just me, could use your admonitions.